As has previously been written, the 2011/12 Sydney summer has been one to forget. Cool weather and plenty of rain has dominated. Every now and then, however, a cracker is turned on and Sunday 19 February was one of those days. The word is that Kingfish are about and this correspondent accompanied one of our more intrepid readers on a spear fishing expedition. 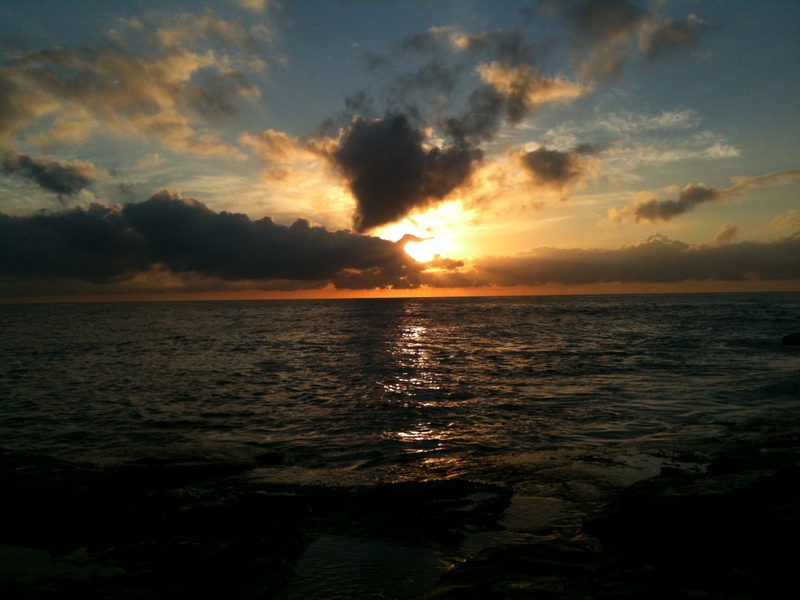 Whilst the hour was ungodly, it was an opportunity to see a side of Manly that I don’t see very often – but that everyone should. 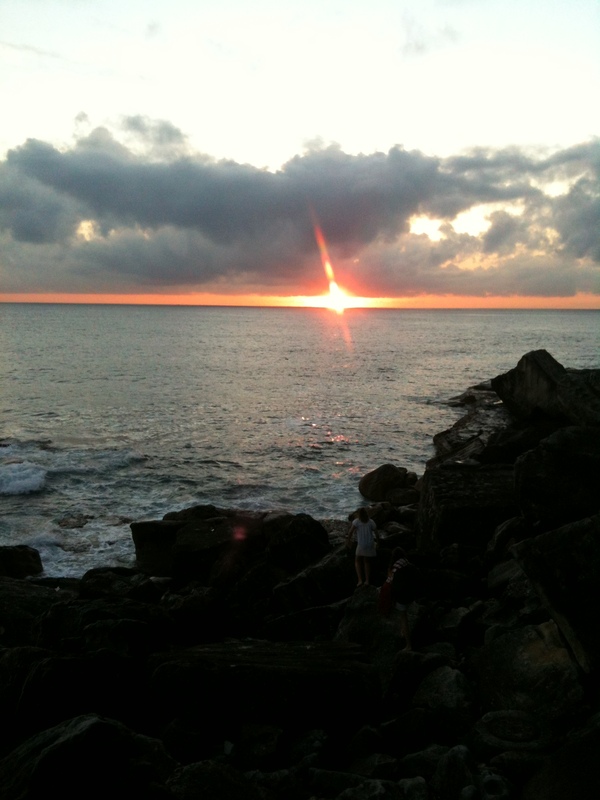 The spot we went to is known as Deadman’s. When the surf is up and the conditions are right a terrific but extremely treacherous wave forms. Get your timing wrong and obviously you are a dead man. It is not a difficult clamber down, but the flat rocks at the base can be like a skating rink. This morning the surf was as benign as can be and the entry and exit to the water was relatively easy. Once in the very warm water, you start off swimming over some kelp beds before the sea cliffs fall away. Because of the hour, the visibility wasn’t great, but the water was teeming with yellowtail and the kingfish were there. Alas, my mate came up empty – but 3 other extremely fit (and young) fellas bagged 3 magnificent specimens. I was happy to survive the swim with my daughter and experience an awesome morning outing. Despite the early hour, I remembered to pack a beer for beerporn and grabbed a bottle that I’d picked up from Beer Cartel. I didn’t realise the appropriateness of my choice until I returned home. 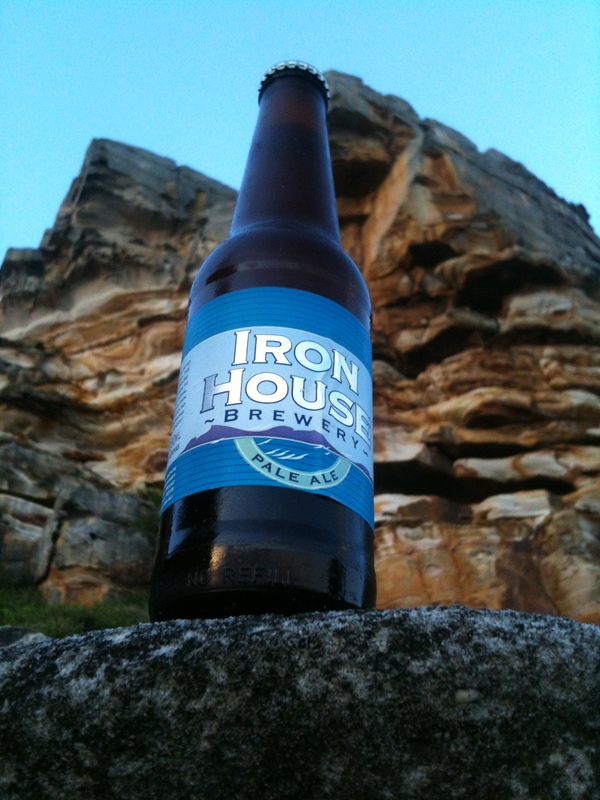 The Ironhouse Brewery can be found on Tasmania’s East Coast almost due East of Launceston. It is part of an Estate and lies between the ocean and a forest. The location looks absolutely sensational and surfing is a big focus and the front page of the website features a couple of surfers. 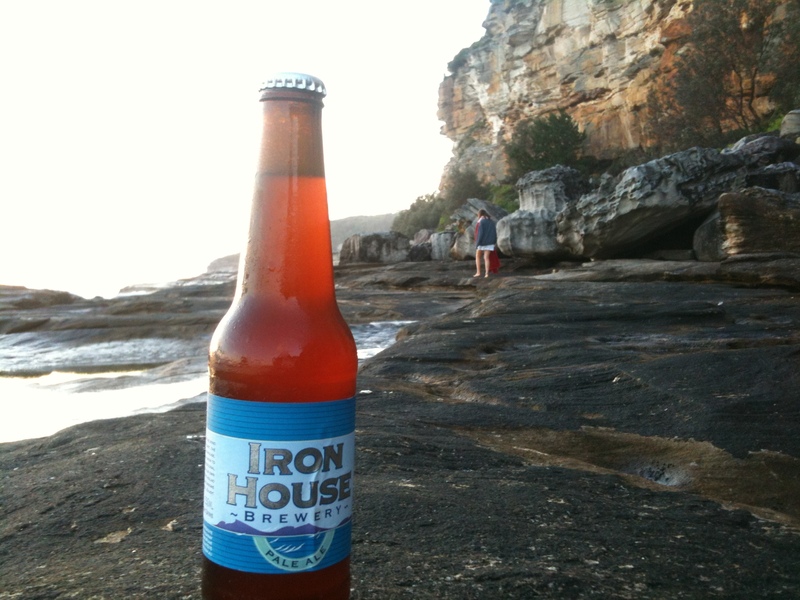 Beer label hyperbole also reckons surfies head to “the Ironhouse” – which might be the brewery or the surf break. This has to be a must-visit place on any visit to Tasmania. 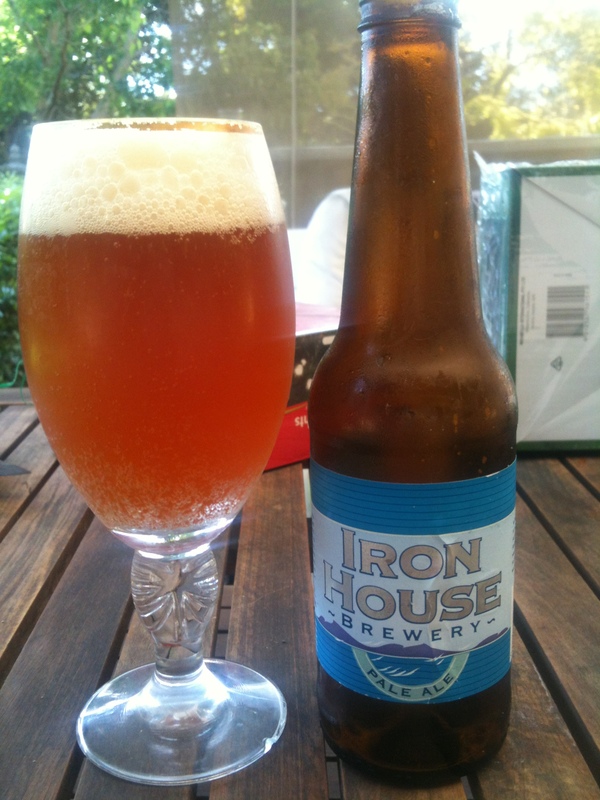 Ironhouse make 6 varieties and I tried their Pale Ale . Cracking good beer, which bodes well for the range and visit. This is a fine example of the American Pale Ale style. The colour is awesome – copper with some cloudiness. Plenty of hoppiness in the taste and the finish is really crisp and sharp. The flavour hangs around for a long while, and a six-pack of these would go down a treat any time.